Perfect for a home theatre this row of seating will give you a big cinema experience right in the comfort of your home. 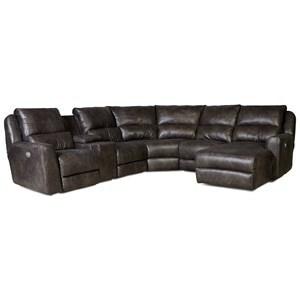 These sectional features two over sized seats with a console in the middle. 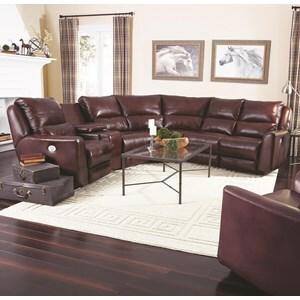 Your family will love watching their favorite movies and TV shows on this sectional. The Jayce 3 Piece Home Leather Theater by Belfort Motion at Belfort Furniture in the Washington DC, Northern Virginia, Maryland and Fairfax VA area. Product availability may vary. Contact us for the most current availability on this product. 756512979 Console 1 25" 29" 35"
72642120 LAF Recliner 1 33" 39" 41"